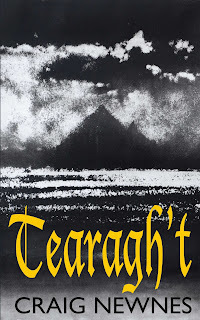 But the real lesson to me of the experience of publishing Craig’s book was that – perhaps for the first time – I became fully aware of the possibilities and importance of small publishing. 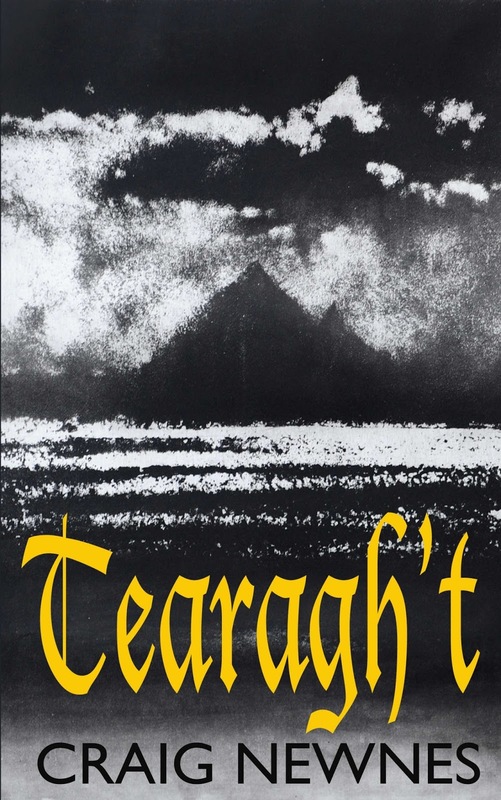 The manuscript for Tearagh’t has sat on the desk of a New York literary agent for nearly ten years. It could have been issued by the biggest and most prominent publishers in the world. But somehow they seek out the safe and the formulaic instead, and it falls to the new wave of small publishers like the Real Press to issue it. We are certainly proud to have done so. Will Corbyn's Labour go for central control or diversity? Maybe a decade and a half ago, I was a member of a committee set up by the Lib Dems to report on the party’s philosophy. It was chaired by Berwick MP Alan Beith and included no less a personage than Ralf Dahrendorf. It’s report was called It’s About Freedom. I seem to remember that the title was my idea. We all suggested the names of modern thinkers who built the modern foundations of Liberalism. 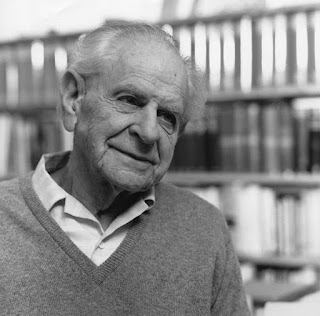 I had rather less confidence than I do now so I did not press my suggestion, which fell by the wayside, of the philosopher Karl Popper and his open society – and the idea that only a society where it is possible to challenge authority from below can learn as it needs to. Popper’s political ideas emerged from his philosophy of science and were enshrined in his 1945 magnum opus, The Open Society and its Enemies. It is the most important justification of modern Liberalism, and also an explanation of why the totalitarians lost the Second World War and the Cold War. Because of that all-important challenge from below. 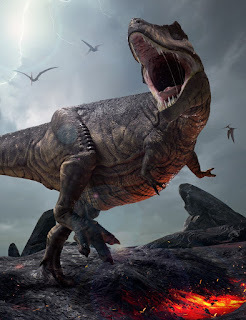 And all around me, the possibility of challenge from below is under threat. The Right never liked being challenged by the front line, but it is also under threat from the Left. There are some obvious examples of both, whether it is the unpleasant implications of gathering the names of academics teaching about Europe, or – also in universities – the banning of some feminists who don’t toe the current line on a range of issues. But what are we to make of the two examples, both published yesterday, of Labour councils that have signed away the rights to protest by people affected – on the issues of the mass felling of much-loved trees in Sheffield or the massive new Lendlease regeneration programme in Haringey. In both cases, the programmes are promoted by apparently enlightened council leaders who had been much respected on the issues of inclusive growth. In both cases, also, they find themselves trapped by corporate contracts that lock them into a certain set of actions, for reasons we are not allowed to know. They are unwittingly promoting a kind of capitalism in the style of President Xi, centralised, secretive and thoroughly bad. They also fly in the face of Popper’s open society. All the defensive leadership of Haringey and Sheffield are likely to learn is not to sign those PFI contracts again – yet they knew what they were signing. Where is the dividing line between the all corporate Left and the Left that believes in diversity for its own sake – including diversity of opinion. Is it between New Labour and the Corbyn leadership? Or is it, more likely, a line drawn unseen within Momentum, between the old left and the new activists? Between Corbyn himself and his enthusiastic supporters? And perhaps more urgently, why don’t we hear these issues hammered out inside the Labour Party? Because Chinese capitalism seems to me the very antithesis of Popper’s open society. It is also on the march, not just in China but also here. Tolerance and diversity work; they also need defending. The news yesterday that the doom-laden trade dispute, between the giant American planemaker Boeing and its small Canadian rival Bombardier, may have been resolved only seemed to compound the basic underlying problem. If the dispute really has been patched up, then it has been by doing a deal with Boeing's European rival giant Airbus to construct the Bombardier planes ordered in the US in a factory in the USA. Of course, we should welcome anything that resolves this kind of trade spat, but – really – there is something craven about the solution, just as there is about the original problem. Apparently, both modern protectionism and modern free trade are understood in practice as about protecting the giants against their challengers. I have written elsewhere (in the book I wrote with Joe Zammit-Lucia and published by Radix) about how the free trade idea became so corrupted. It appears to have something to do with a long-running dispute inside the Chicago School of Economics in the 1950s. Milton Friedman emerged as the victor and he said that monopoly was rarely if ever an issue. This nonsense has led to the current impasse, where free trade has come to mean the very opposite of the original idea - it isn't about supporting challenge from below, it is an apologia for monopoly, a featherbedding of the giants. While I understand how this reversal came about, I'm not sure why the forces of Liberalism worldwide should have abandoned their most important economic doctrine. But I do know that concern about monopoly power is rising, not here perhaps, but in the USA - where two pieces of economic research have been published which lift the lid on the economic consequences of monopoly power. After all, the US Department of Justice didn't open any cases against monopolies at all in 2014, and opened just three in 2015. That compares to 22 cases in 1994. You can read more about the latest research in the Bloomberg report here. Particularly, economists Jan de Loecker and Jan Eeckhout have found that prices re now 67 per cent above costs when they used to be just 18 per cent, and other evidence that consolidation is driving up prices. German Gutierrez and Thomas Philippon have also found that business investment as a share of GDP has been falling - probably because of the increasing market power of companies. Why would anyone lend you money to compete with Amazon, after all? The situation was summed up in a recent headline in Christian Science Monitor explaining that Catalonia can opt out of Spain (perhaps), but never out of Google. American thinktankers like Barry Lynn and Stacy Mitchell are beginning to make hay with the monopolies issue, but in the UK - well, silence. In fact, if you were wondering why the political centre ground has become so lost on this side of the Atlantic, their ability to be the dog that didn't bark about monopoly power might be all you need to know. Sometimes all you can rely on, to understand some sense of the direction events are taking us in, is a sense of history. As such, it seems pretty clear to me that the way the national authorities behaved over the Catalonia referendum guarantees that Catalonia will eventually secede from Spain. Perhaps not now, perhaps not for decades, but eventually. What is more, it may also provide enough of a political impetus to other nations-within-nations , like Scotland, to go their own way. 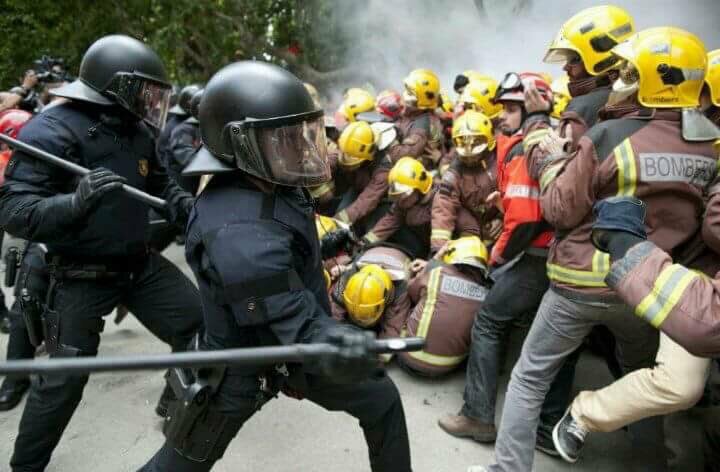 When firefighters have to stand between the crowds and the police to protect people, then something will inevitably change. Nor is this necessarily a bad thing. Centrist politics has tended to be unionist. Liberals have certainly looked askance on every kind of nationalism, except possibly Irish. But something is changing, and I suspect that - among the mix - is a different attitude to economies of scale. If your whole political system leaned heavily on the justification of economies of scale, then it made sense to subsume the parts in a greater whole. But if you recognise how rapidly economies of scale are overtaken by diseconomies of scale - as most people do now outside government - then the argument for unionism and the old-fashioned concept of nation states begin to unravel, along with all the other prevailing ideas that came along with the age of the assembly line. I have written before about Freddie Heineken's vision of a Europe of nation states with around eight million people in them, and certainly there are successful nations and city states a good deal smaller than that. People are frustrated with the sheer ineffectiveness of central governments, so divorced as they are from the real levers of power - which exist at very local and city level, where they exist at all (Sir Keith Joseph used to complain that he had spent his entire career trying to get his hands on these levers, only to find they weren't connected to anything). It maybe that this frustration, combined with the disillusion with the idea of economies of scale, will usher in nationhood - not just for Catalonia, but the Scots, and others. There is a similar referendum in northern Italy shortly. What is more, if we are radical centrists, there are reasons for suggesting that this maybe a more peaceful, more effective way of governing than the current posturing of nation states and national parliaments. The days of Liberal unionism may be running out. It was after all another expression of the very nationalism it rejected. But there is one pre-condition for success for this kind of transformation. We must retain the old national umbrellas. Without a continuing role for 'Britain', we risk unleashing the most dangerous kind of intolerant nostalgia. More immediately, we would lose the possibility of rebalancing the separate economies around the old nation, shifting resources from the rich areas in surplus to the poor areas. If we don't do this, we risk creating a Europe of competing nation states - like G K Chesterton's Napoleon of Notting Hill - with the big poor ones that are left behind battling with the smug small, wealthy ones. It was the lack of this very mechanism across the eureozone which has led, predictably, to the rise of the far right. The European Union could also provide it, but will they? And can they, inside the UK? That makes revolutionary separatism, of the kind encouraged by the actions of the Spanish government in Catalonia, not just unhelpful, but downright dangerous. We are nearly due a major shift of the political and economic mainstream - we have one regularly in the UK every 40 years - and it is worth arguing that Brexit and Trump are not the shift. They are more like John the Baptist, bearing witness to the shift. I am wondering whether the real shift, a response to the sheer uselessness and corruption of central governments, may be this radical localism. I think it will happen, partly thanks to the police in Barcelona. But it needs to be done safely, or will will lead to the kind of bloodshed we saw in Yugoslavia. It has to be done deliberately by enlightened statespeople, slowly, bravely, constitutionally and under the continuing umbrella of the old national identities and their vital economic functions.